In my first post in this series, I explained the benefits of "One OS. One Click. Any Cloud." for both enterprises and service providers. 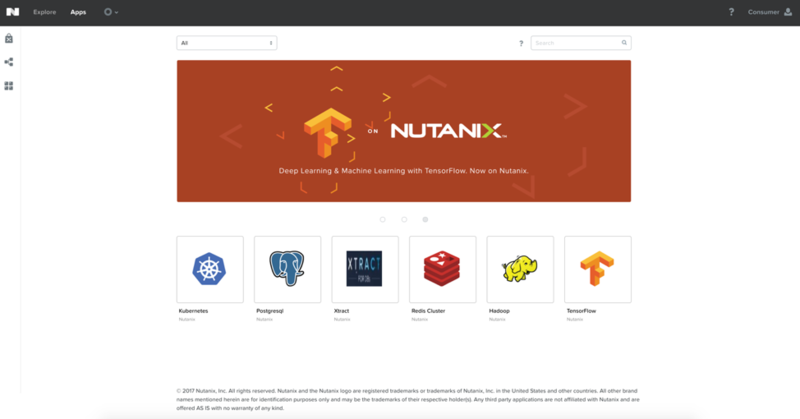 Nutanix Enterprise Cloud OS provides a single operating system across multiple cloud environments, while Nutanix Calm delivers application automation and lifecycle management with self-service capabilities. That's a compelling vision. This time, I want to explain how a managed cloud service provider (MCSP) can take advantage of the Nutanix Enterprise Cloud to generate additional revenue streams, optimise operational workflows, and spark new conversations and projects with customers, fully realising the potential of a hybrid cloud IT environment. Capitalising on the robust capabilities provided by Nutanix Enterprise Cloud and Nutanix Calm, MCSPs can easily implement a variety of new services. Your MCSP organisation can quickly embrace the various clouds that enterprises want to consume and satisfy a broader range of needs. You can expand your offerings from traditional infrastructure and services that run from your datacentres to managed service stacks that are independent of the location(s) where the services run, while providing the same end-user and administrative experience across clouds. As I discussed last time, Nutanix Prism and Calm provides native capabilities for application automation, application lifecycle management, and self-service. Your IT consumers are able to leverage the Nutanix marketplace to deploy infrastructure services or applications. Even though a managed private cloud may be limited to a single physical location, private cloud users can access the Nutanix Marketplace. They can quickly deploy applications from this easy-to-use portal using blueprints that ensure governance requirements are followed. As a managed services provider you can work with each customer to define specific application policies that must be enforced. Nutanix Calm enables you to optimise the application lifecycle by tailoring application blueprints for each customer and making them accessible in a customised service catalogue. Nutanix Calm acts as a front-end portal to deploy services. In addition to Calm, you can also leverage the IaaS self-service capabilities built into the Nutanix Prism management interface. You can work with each customer to define the necessary projects, quotas, and role assignments. For example, DB administrators might be allowed to deploy and manage DB instances but restricted from accessing other application services. When a customer requests a Hadoop deployment via an MCSP front-end portal (like ServiceNow), the right blueprint can be initiated to provision the application accordingly. Once the Hadoop cluster is operational the application access details, such as cluster IP and credentials, can be automatically shared with the customer. The image above shows the view of the three Hadoop blueprints in Calm's Application section. In this enterprise cloud, a front-end portal initiated the automatic provisioning of two Hadoop clusters for two different customers. Figure 6 shows how this looks in the Prism Explore view. 2018 Nutanix, Inc. All rights reserved. Nutanix, the Enterprise Cloud Platform, Calm and the Nutanix logo are registered trademarks or trademarks of Nutanix, Inc. in the United States and other countries. All other brand names mentioned herein are for identification purposes only and may be the trademarks of their respective holder(s).